I’m right smack in the middle of running my spring programs, including Magic Marker Mastermind (for intermediate visual practitioners) and Thrive in the Time of Awakening (metaphysical offering with The THEO Group). Although they have different focuses, both groups are all about helping people manifest their next ‘it’ … in essence becoming ‘their Next Self’. 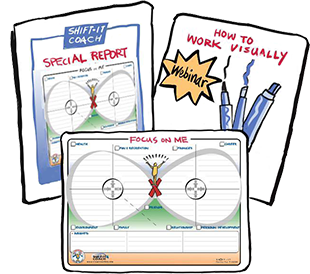 As The SHIFT-IT Coach, a significant part of what I do is help people get clear about their desired destination — and then coordinate their outer actions and internal feelings accordingly. Sometimes this process goes smoothly and sometimes there are a few bumps along the way. Here are a few thoughts about making your developmental shift a little smoother. Sometimes in the process of becoming Your Next Self one needs to first go through a regroup and recovery phase. For some people the circumstances that provoked their SHIFT were negative in nature. The tension, frustration and toxicity of their environment gave birth to their new desires. This chaos served a really great purpose (it eventually got them focused on what was better for them) however it often needs to be recovered from too. Sooooo, just a little reminder. If you are emerging from trying circumstances you will likely need some good old-fashioned self care before you can fully turn your focus to building your new work and/or life. FYI: Check out Certified Visual Coach® Allison Crow’s upcoming Renewal Retreat in Texas for a great way to recharge your batteries with helpful self. In crafting your new world, also be gently warned that you will likely go through a sometimes intense frustration phase. Of not knowing, getting excited then dashing your hopes, feeling clear and then feeling murky and unsure. Getting pissed off at yourself (and perhaps others). Big sigh! You have my condolences. I have gone through this many, many times as I manifest my next chapters too and so do a lot of my clients. If this is you … please lean in and listen up … psssttttt, this is VERY normal! There is nothing wrong with you or your ideas. This is just often the nature of creativity and manifestation. Don’t worry … it will eventually become clear. You may have several so-called false attempts. But none of them are a waste. They all help you get to where you need to be going. Trust your process. Trust your inner wisdom (its working away!) and trust yourself! I had a cute and funny thing happen with Jill one of my masterminders which helps me illustrative my next point. Jill wrote in to compliment me on one one of my taglines. The tagline reads: Draw Your Vision and Erase Your Resistance. The ‘funny’ thing was that in referring to it, Jill quoted it as “Draw Your Vision and Raise Your Resistance”! LOL!!!! When I pointed that out we both had a chuckle about what Freud would think! Unfortunately, whether or not that is true for her personally, it can be for others. 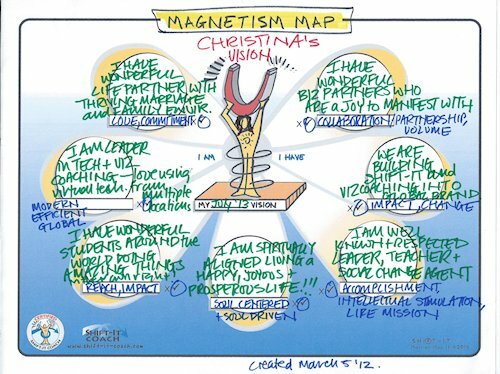 When we go through the process of crafting a vision for ourselves it can sometimes RAISE our resistance rather than dissipate it (FYI, the visual tool I have created to help build your Vision is called a Magnetism Map … below is an example of one I created for myself recently). Creating your vision ideally should be fun, enjoyable and exciting. There may be some resistance about whether or not you can do it or should do it (what I call ‘Trouble at the Border’ and we work on that). However, if the act of creating a vision gives you the heebee jeebees (technical term that!) then you need to learn to hold that vision lighter and have more fun with it. Don’t choke the heck out of it and turn it into something that feels unpleasant or pressured for you. You also might be getting too specific too soon. Try going more general in your wording instead. Remember – to quote Abraham-Hicks … you ‘don’t have to have it all figured out this red hot minute’! Focus on what feels good (otherwise put it away and focus on things that do). It can sound like a cliché in Law of Attraction circles (and it is) but please, please, please focus more on what you DO have rather than on what you don’t yet. My mentees often lose sight of what they have accomplished, and often in a short period of time … cause they get so focused on more, more, more that they lose perspective and patience. All your goodies can’t all happen at once … you’d be squished by the density of them if they did! 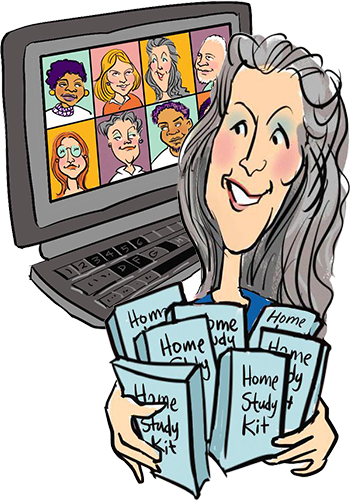 One wonderful client manifested a visual recording gig with a top-rated speaker with glowing accolades about her work (something she would have jumped to the moon about not that long ago). But in reporting out on it to her masterminders she focused more on what she thought she didn’t do well and on what she should improve on. Arrggghhhh (that is yours truly pulling her hair out!). I teased her on this too. And she got laughing about how right I was. When she lightened up and appreciated herself and the successful experience she HAD attracted, her energy really shifted (and as a result more good feeling stuff is on its way to her!). Write lists of Positive Aspects and appreciations. Draw out your path so you can appreciate that milestones you have already done. Appreciating what you do have and softly reaching for more is what the game is all about! In manifesting your Next Self you will make so-called mistakes. You will most likely have challenging experiences at times and things that might even make you cringe. Don’t worry about it. SH#T happens when you are on a SHIFT-IT path. Brush yourself off and figure out what you can do now. There is no such thing as perfection. But there is our own individual journey … which is perfect with its warts and all (at least from the bigger, more spiritual perspective). Cut yourself some lack. Allow yourself to be goofy at times and make booboos. Don’t idolize people out there you admire — if you were more privy to their true inside story rather than your projections you would hear all sorts of stumbles, mistakes and goof ups mixed in with their successes, wins and direct hits. Success can have lots of winding roads and tributaries instead of a direct highway. And, that is totally ok!